By: Kieona GeorgeIn the past few years, conversations around mental health have become increasingly prominent on social media, and Wear Your Label has been involved in making these positive changes come about. 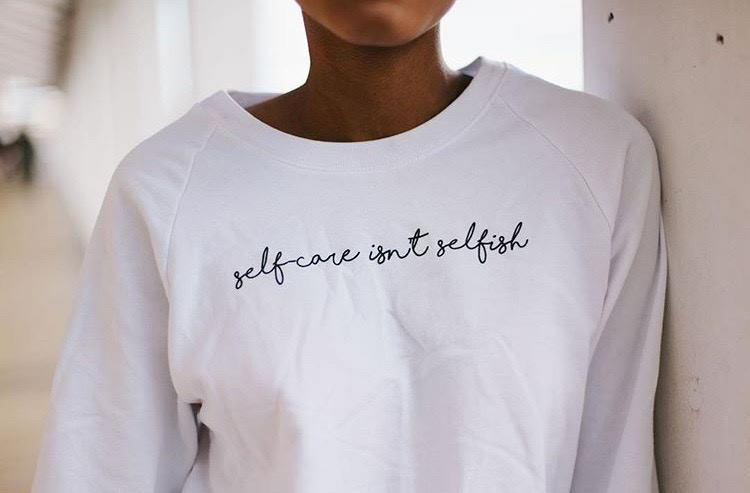 Wear Your Label is a Canadian-based company founded in 2014 that produces clothing aimed at helping customers recognize their personal strength, while raising awareness about mental health issues. Kayley Reed, CEO and creative director of Wear Your Label, spends most of her days at work creating clothing with statements that make a difference, “What I do is work to build something I wish I had when I was going through my struggles,” says 24-year-old Reed. As a brand that creates conversation, awareness and positivity from negative labels, Wear Your Label is dedicated to ending the stigma surrounding mental health. The brand carries a variety of shirts, sweaters and hats that all carry some kind of message to raise awareness about mental health. “A lot of it [are] personal mantras or mottos that I wish that someone had told me when I was having a hard time,” says Reed who has her own experiences with mental illness. In her final year of university, Reed and Wear Your Label co-founder Kyle Macnevin were tasked to create a youth engagement campaign for the mental health organization they were both volunteering at. As fashion enthusiasts, Reed and Macnevin went on to design t-shirts to engage the youth in conversations about mental health. From the “happy accident” that entered Reed into entrepreneurship, her focus is not financial, but instead a social impact. In three years, the brand has been featured in major publications like Buzzfeed and Seventeen magazine. It has also partnered with lead organizations in the mental health community and received multiple awards for its social impact. Reed explains that Wear Your Label’s customers are a following that understand mental health challenges. Potential designs are sometimes polled on the brand’s Instagram story to see what inspires customers. She recalls instances where she would go online and talk to followers about vulnerability, feeling anxious and running a business. To Reed, it’s a personal connection between her and her customers. That connection has saved the life of a customer. In an Instagram message, a customer relayed how receiving her order at the right moment inspired her to not commit suicide as she planned to earlier that day. With plans to hurt herself when she arrived home, the girl changed her mind because of the Wear Your Label package on her bed. “It’s a story that I constantly remind myself of that we are actually doing something that really matters to a lot of people,” said Reed. Wear Your Label continues to grow and is on its way to becoming a brand beyond tangible product. What began as hand-printed products have now moved on to having shipping fulfillment with a manufacturer in L.A. and moving from its hometown of Fredericton, New Brunswick to Montreal. She noticed the trends in popular content about mental health like Netflix’s 13 Reasons Why and To the Bone, which have been criticized for being damaging. Reed’s aim is to spread mental health stories in a way that is not triggering. Sharing stories and connecting people have always been a main part of the company. Due to demand, the brand has post-secondary campus ambassadors across North America and some foreign countries who contribute to the blog, occasionally help with product design, and host events like a letter-writing party for Wear Your Label’s campaign, With Love. With Love is a campaign where students write positive messages that are sent along with every order. Strangers, for example, can send positive messages from New York to Sydney. The campaign is currently working on how to better manage the huge amount of involvement they're seeing. As the business expands, Reed is motivated to push the envelope of how the company will inspire people to take care of their mental health. Self-care, to her, is creating routines that balance aspects of life with wellness. “Instead of avoiding the world by doing ‘self-care things' the focus should be taking care of yourself everyday so you can do the work you need to do to interact with your friends [and] be social,” she says.